The StorkCraft Verona 4 in 1 Convertible Crib makes it easy to create a cheerful and inviting nursery decor with this crib's beautiful White finish that really showcases the crib's unique design. 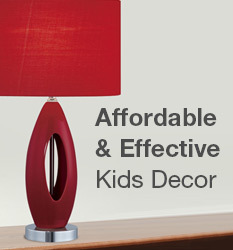 The White stain is also toxic-free for baby's safety. The many safety features such as stationary rails, solid construction, plus adjustable mattress platform are some of the reasons this crib has earned a JPMA certification. This crib can also make your child's transition to that big kid bed a breeze because the crib converts to a toddler bed, daybed and full size bed with head/footboard, so your child can always have the security of a familiar sleep space throughout his/her lifetime. This is one well-built, long-lasting, versatile crib that can be paired with other StorkCraft nursery furniture to give your baby that dream nursery he/she deserves. 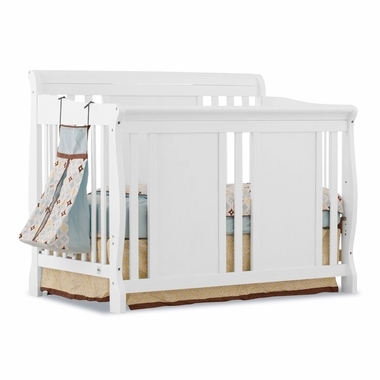 Convertible crib measures 43.25" x 33" x 55.5"